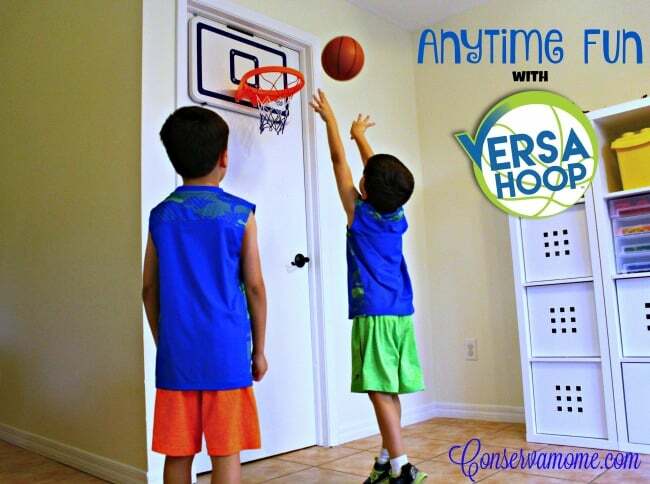 Anytime Fun with VersaHoop XL Mini Basketball Hoop! Disclosure: Although I received a VersaHoop XL Mini Basketball Hoop free of charge to facilitate my review, all opinions are 100% mine. 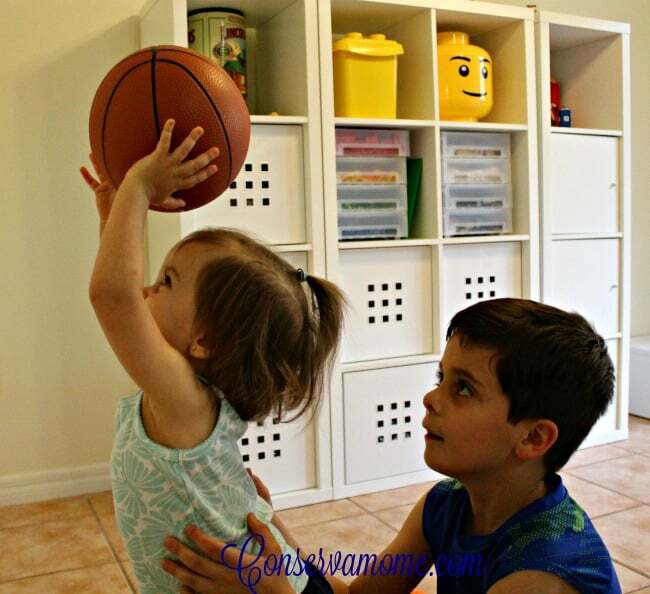 What do you do when your kids want to play basketball outdoors but the weather isn’t great? Here in Florida, we get lots of rainy days but that doesn’t mean that the kids shouldn’t being able to play whenever they want! 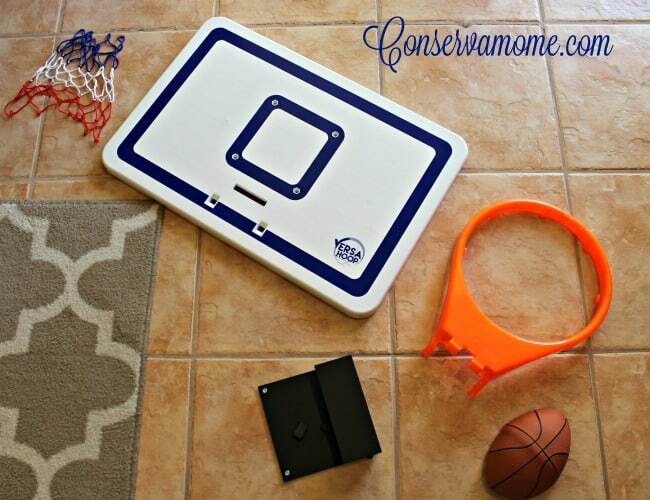 This VersaHoop XL Mini Basketball Hoop is the perfect solution! 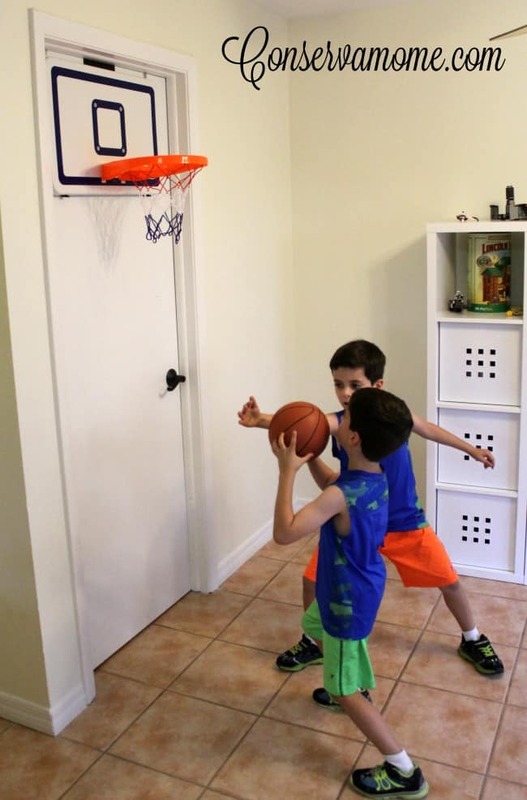 I just installed the VersaHoop XL Mini Basketball Hoop over a door frame inside my house and now my boys (and the rest of us!) can have a blast shooting hoops anytime. This particular model is the VersaHoop with door hook. 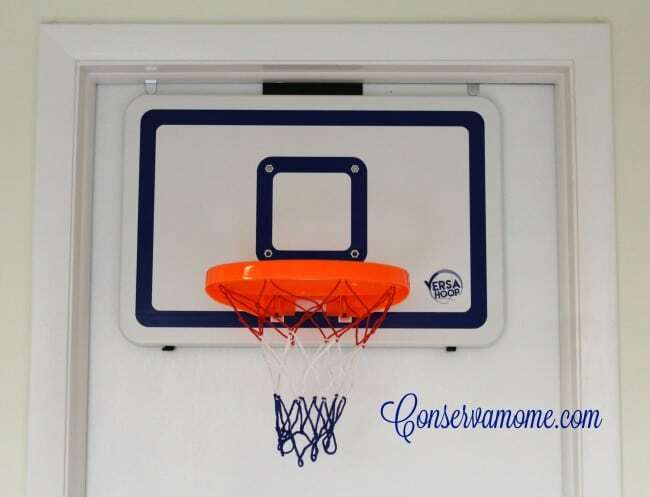 It is a lightweight 24″ x 16″ backboard with a strong 18 gauge steel door hook and comes with a net and a mini basketball. I was impressed with the quality of the materials. This is no flimsy toy! Even the basketball is made a of a strong rubber which makes it feel like a real basketball and not a throwaway toy. Plus, all VersaHoops XL Mini Basketball Hoops are made in the U.S.A. The installation was super fast and easy too! All you need to do is install 2 screws and clip the hoop onto the backboard. Then, hook it on over your door. It could not be easier. In 10 minutes we had this up and my two boys were playing ball in no time! I know some of you might be worried about your door getting damaged, but the good thing is that it comes with a rubber bumper to protect the door. What I love about this sports toy is that it can get all the family up and moving for a spontaneous game anytime! Even the youngest member of our family got a kick out of this! If door hooks don’t work for you, you can get these with suction cups or brackets instead. Also, if you’re out at the park or the beach and want to set up a hoop, there are some really great and versatile options for that, too. Check out their entire lineup here: You will definitely find a hoop to meet your needs. Get Social with VersaHoop XL Mini Basketball Hoop on Facebook, Twitter & Instagram.